WHITE TWP. Robert Matarazzo created a vineyard as an investment for his four young daughters and named the place, to no surprise, Four Sisters Winery. Now that the sisters have grown up and moved on to different careers, Matarazzo is getting ready to pour his last glass. As the winery prepares to celebrate its 25th anniversary this fall, Matarazzo is looking to sell the 22.5-acre business. The winery is expected to hold grape stomping, a murder mystery and other events before its anniversary celebration in November. "This is meant for a younger generation to take over," Matarazzo said. Four Sisters Winery has been on the market since the beginning of last year, Matarazzo said. The Route 519 business has continued to attract interested buyers, but Matarazzo said he is not facing any financial pressures to sell. The current asking price is $1.68 million, plus the value of inventory at the time of the sale, he said. The land could be developed for residential use, but any business would have to be of the agricultural kind, he said. Matarazzo said potential buyers have expressed interest in maintaining a winery. Matarazzo plans to continue working as a marketing consultant for agricultural businesses while also farming the remaining 210 acres on his property. Matarazzo lives on that section and grows apples, pumpkins and other crops. "I'm a farmer at heart," said Matarazzo, who served on the New Jersey State Board of Agriculture until recently. There are 19 local vineyards along the Connecticut Wine Trail. 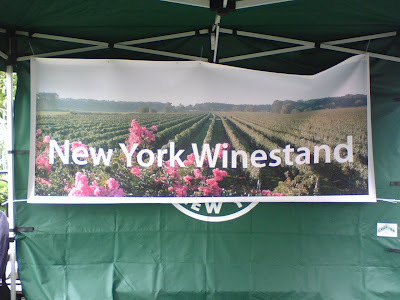 The vineyards have joined forces for the 2009 Connecticut Wine Festival. 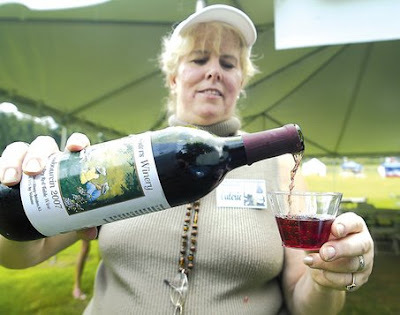 This year's Connecticut Wine Festival will feature over 20 Connecticut wineries, food, artisans, crafts, and entertainment. The festival will be held at the Goshen Fairgrounds in Goshen, CT on Route 63. The Wine Festival will be on Saturday, August 1, 2009 from 12:00pm-7:00pm and Sunday, August 2, 2009 from 12:00pm-6:00pm. Tickets are $25 for each day or $40 for the whole weekend. Tickets are only $10 for those under the age of 21 and designated drivers. Tickets can be purchased in advance at participating wineries for a reduced price of $20. 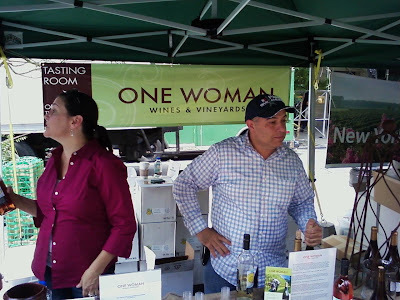 Participating CVWA wineries include:Jones Winery, Bishop's Orchards Winery, White Silo Winery, Hopkins Vineyard, Sunset Meadow Vineyards, Miranda Vineyard, Land of Nod, Rosedale Farms & Vineyard, Gouveia Vineyards, Priam Vineyards, Sharpe Hill Vineyard, Jonathan Edwards Winery, and Chamard Vineyards.Wineries also at the festival include Taylor Brooke Winery and CT Valley Winery. Tickets include a wine glass, tote bag, 20 tasting tickets, specialty food samples, and entertainment. Entertainment will include the Shawn Taylor Duo and the Jerrod Cattey Double Trio. Tickets can also be purchased via phone with a credit card by calling (860) 677 - 5467 Monday-Friday between 9:00am-3:00pm, however, a $0.50 handling fee per ticket will apply to phone orders. Glasses of wine will be for sale for $5. Bottles and cases will be sold at each winery booth. Additional tasting tickets are available for purchase at the wine festival. 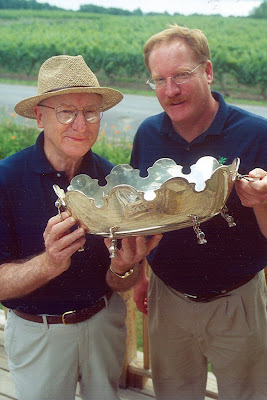 For more info on the Connecticut Wine Trail and full list of participating vineyards visit www.ctwine.com/. For more info on Gouveia Vineyards visit www.examiner.com/x-4453-Hartford-Tourism-Examiner~y2009m3d12-Romantic-dayaway-Follow-the-Connecticut-wine-trail. Wine is a staple in times of celebration, to honor good friends or just to accentuate a fine meal. It's a beverage that is a celebrated part of nearly every culture and has made some countries famous. And as Americans are stepping into the spotlight as great vintners, Maine has joined this burgeoning field: 18 wineries and vineyards have cropped up in our own state, adding a diverse local flavor that every Mainer should try. The wine trail in Maine, though a little more spread out than its Californian cousins, is an effort on the part of the Winery Guild in Maine to give this growing business a stronger voice. Really, it's a way for small businesses to work together for the good of all the wineries in the state. "It's a great way of seeing how Maine has broadened people's view of enjoying regional wine," said Joan Anderson, co-owner of the Winterport Winery. 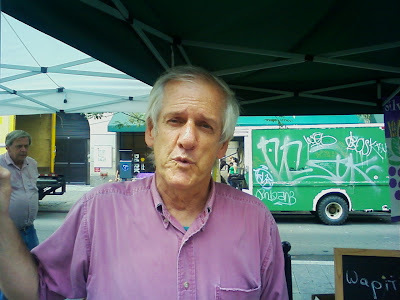 On June 7th, 2009, Jim Tresize wrote, "GREENMARKET WINESTAND has been a phenomenal success in penetrating the fiercely competitive New York City wine market, thanks to the great work of our colleagues at Wine & Food Associates. 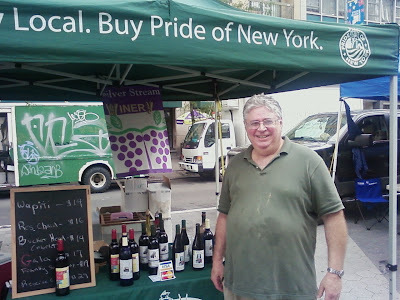 With an initial push from the Department of Agriculture & Markets, the green-tented Pride of New York Winestand appears on Fridays at the bustling Union Square Greenmarket—with up to 30,000 shoppers per day—featuring a winery owner in one tent with an adjacent tent staffed by a local chef offering compatible finger food made with Greenmarket ingredients.... Since the beginning, the program has been run by Rory Callahan and his colleagues at Wine & Food Associates, who have done an extraordinary job." This year I have seen many wineries cycle through. Some are tried and true, like Anthony Road. But I have discovered some new wineries too, like One Woman, for example. Today they had Silver Stream Winery from the Hudson Valley. Rory Callahan and his folks are handling numeorus requests. They had 50-some open spots between Union Square and Grand Army Plaza (NYC's two largest greenmarkets). They had 70-some respondents, all looking for multiple placements. The wineries have met with pretty solid success, given the rare nice day (it been tough, given the northeast's inclement weather of late). And now other markets around the city want to get into the rotation as well. Callahan is over-whelmed, but happily so. Thanks Rory for supporting local wine! Great news for Hudson Valley winemakers! And drinkers! 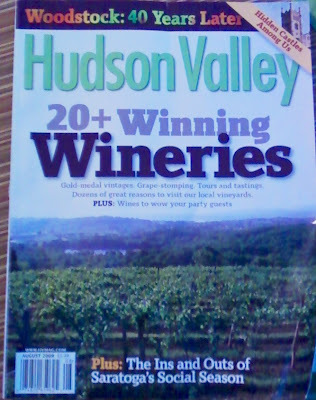 Shannon Gallagher wrote the August 2009 cover story for Hudson Valley Magazine raving about the 20+ wineries coming of age in the Hudson Valley. Also features including such local ceebrities as Michael and Yancey Migliore of Whitecliff Vineyard, and Phyllis Feder of Clinton Vineyards, as well as an homage to Ben Feder of Clinton Vineyards for his lifetime of achievement, and many others were also within the 10 page feature story chockful of pictures! "Hailed as the Hudson Valley’s best growing season in 30 years, 2007 left some pretty big shoes to fill — and thankfully, though not as hot or long, 2008 managed to produce. “It was an excellent growing season, one of the best we’ve seen,” says Yancy Migliore, co-owner of Gardiner’s Whitecliff Vineyards. “It was definitely in the top 10 vintages, maybe even top five,” adds her husband Michael, president of the Hudson Valley Wine and Grape Association. 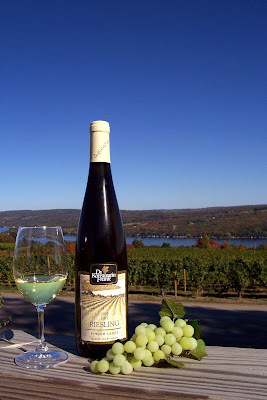 This bodes well for Hudson Valley wine country... with a couple of powerhouse vintages and (of all things) a national recession, things just may be looking up for Valley vintners," wrote Gallagher. Hudson Valley has come of age! I want to admit something. Like many other bloggers, I am guilty of always looking for the next new thing – the next new winery, the next new grape or varietal, the next new spin. It seems bloggers find them selves in a faster spinning news cycle than magazines and newspapers, especially in wine, as we all try to find the next new…. I have been a big fan of Dr. Konstantin Frank, the industry innovator himself, and the winery. 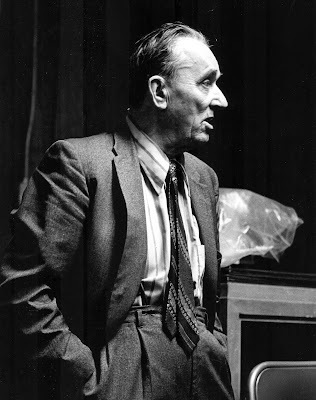 While I never met Dr. Frank, I did meet Willie, of whom I also thought highly. I felt, and still feel, Willy was almost just as important to east coast winemaking and the Finger Lakes in particular, as his famous and cantankerous father. He stood up and asked me what kind of wine I wanted. Then we started chatting. While I’ve been running around, looking for the next new thing, Dr. Konstantin Frank has been doing well what they have always done – growing first class grapes and making classic, elegant wines. Fred is guardian of a tradition that dates back almost half-a-century, and tends a legacy that is as rich as any winery’s in North America. But he’s not just standing still. He’s making great wines. 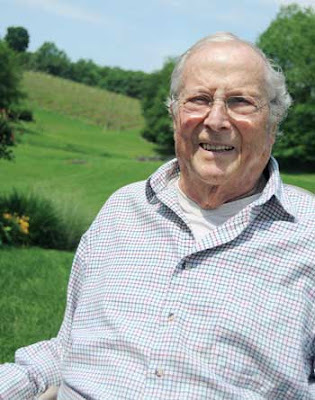 World renowned wine writer Tom Stevenson in his Wine Report rated Dr. Konstantin Frank the “Greatest Wine Producer in the Atlantic Northeast” five years in a row, from 2005 to 2009! In 2009 alone, the company has been awarded 45 gold medals thus far, their Rieslings and Gewurztraminers having gained almost half of them. Wine & Spirits magazine awarded their 2007 Dry Riesling 93 points, and their 2007 Semi-Dry Riesling 90 points! 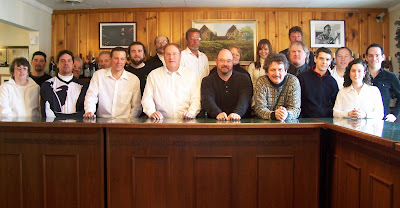 These are some of the highest scores ever achieved by a New York state winery! In 2006 Robert Parker rated their 2005 Dry Riesling a 90 and their 2005 Riesling Reserve an 89+! Wine Spectator awarded their 2005 Barrel Fermented Chardonnay an 88! They have been featured on NBC Today Show. But what about the wines? Well, their Riesling and Dry Riesling are exceptional. And I am even a fan of Salmon Run Riesling, which I serve in copious amounts to my father-in-law around the holidays. I think Salmon Run is one of the best value lines in America, bar none. Dr. Konstantin Frank Salmon Run Meritage – Merlot, Cabernet Sauvignon and Cabernet Franc blend. Very nice nose. Deep red color. $13.99 An awesome price. WINE REPORT listed it as one of the best red wine values in the 2009 Report. Must agree. Dr. Konstantin Frank Cabernet Sauvignon 2007 – Dr. Frank drops a lot of fruit on the vineyard floor to make sure they make a solid Cab Sav. And it works. Dark fruit and vanilla on the nose. Big notes of dark fruit. A touch of chocolate. Big tannins. Nice dry finnish. Dr. Konstantin Frank Pinot Noir 2007 – Dr. Konstantin Frank’s has the second oldest Pinot Noir vineyards in all of North America! They’re 45 years old. And it shows in this wine. Easily the darkest Pinot in the Finger Lakes. Big dark cherries. Nice notes of vanilla. One of the nicest reds in the Finger Lakes. Really wonderful. A delightful surprise from one of the older vineyards. And of course I think their sparkling wines were also very, very good. 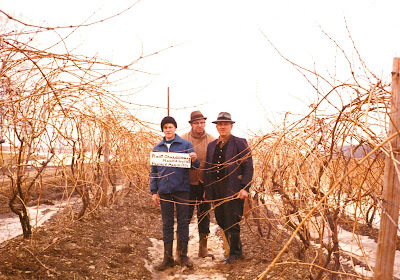 In speaking with Fred, I found out that Dr. Konstantin Frank has the second oldest Pinot Noir vineyards in North America! Now, that’s impressive. How does one judge a good winery? A winery is a tricky thing, when judging in the larger sense, no? They make a consistent line of wines of high quality. There are no clunkers in he line. Consistently, across all brands, and across all wines, the quality is high and the tastes are in fact phenomenal on many. Even more impressive was that Fred Frank is the third generation of Frank to hold stewardship of Dr. Konstantin Frank, and that his son also works at the winery, thus making him a fourth generation winemaker. The Franks are not a winemaking dynasty because they are fourth generation, although that’s a nice, and very cool, added extra. What makes them important and valuable, is that they have added to our overall winemaking knowledge, and that they make great wines. Dr. Konstantin Frank's Vinifera Wine Cellars is one of the top ten wineries on the east coast, but they are also one of the best over all wineries in North America. And that is a tribute to their staff as well. It takes a lot of good people to make wines consistently good, year after year. So here's to them as well. 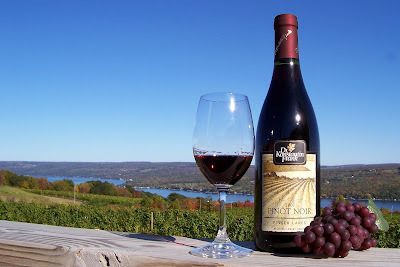 This is the second part of my thoughts on the best Finger Lakes reds. A lot of people ask me where are the good reds in a region so rich with whites. Here’s my second list of dry red wines worth seeking out. Sorry, not all my photos came out. 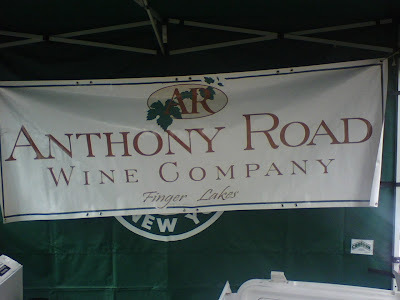 Anthony Road Rose’ of Cabernet Franc – While not officially a red, this rose’ is one of the classiest east coast dry rose’s I have ever tasted. Belongs up there with Rtaphael’s and Wolffer’s. Crooked Lake Winery Chancellor 2005 – One of the lightest wines on the list, but very nice. Deer Run Winery Corot Noir 2007 – Light, dry, tasty. Unique – but that’s meant as a compliment. A great, dry, summer red. Dr. Konstantin Frank Salmon Run Meritage – Merlot, Cabernet Sauvignon and Cabernet Franc blend. Very nise nose. Deep red color. $13.99 An awesome price. WINE REPORT listed it as one of the best red wine values in the 2009 Report. Must agree. Heron Hill Eclipse – A nice deep red. Vanilla. Cherry. Dry. Very drinkable. Fox Run Cabernet Franc Reserve – One of my favorite Finger Lakes Cabernet Francs. Hard to go wrong. Hunt Country Meritage – Hints of vanilla on the nose. Dark fruits. Very nice dark cherry flavors. Nice finish. Hunt Country Cabernet Franc – Nice touches of vanilla. Big, big dark cherry and other dark fruits up front. Nice mouthfeel. Big, big tannin finish. Excellent! Imagine Moore Winery Synchronicity 2007 – A blend of Cabernet and Syrah. I loved this wine from long-time industry professional Tim Moore. It’s got lots of dark fruit, a deep redish-purple-ish color and lots of flavor. Smooth. Very nice. Long Point Winery Zinfandel – Long Point makes some awesome wines, and they are one of the darlings of the region. This zinfandel is what wine drinkers will be looking for. Big and dark, with nuances of chocolate, with touches of pepper and currant. It’s California fruit, but the wine is big and luscious!!! McGregor Vineyard Winery Cabernet Franc – A very light red, almost a rosato. But it’s got a big, big strawberry and vanilla nose. Strawberry also comes across on the palette. And it’s dry and tasty. Very nice. Miles Wine Cellars Cabernet Franc – Medium bodied red. Nice ruby color. Nice nose. Very lovely, smooth finish. A very pleasant surprise from Miles! 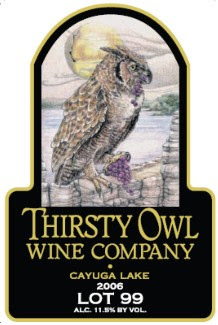 Thirsty Owl Pinot Noir 2007 – Second darkest Pinot in the Finger Lakes after Dr. Konstantin Frank’s. Big aromas up front. Cherry and coffee come through. Aged in a combination of Eastern European Oak barrels in American and American and French neutral barrels. Very, very nice! Thirsty Owl Lot 99 – One of my all time favorite bottles of east coast red. This blend of Pinot and Chancellor is a classic. Big flavor. Nice dark fruits. Dry finish. Notes of vanilla. Awesome! A red wine drinker’s wine. 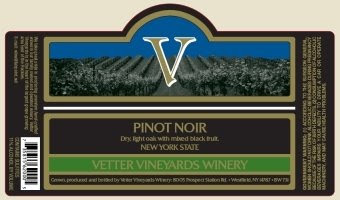 Vetter Vineyards Pinot Noir Estate Grown – Nice color. Light to medium red. Vanilla on the nose. Slight sour cherry flavor. Very nice flavors. White Springs Winery Cabernet Franc – One of the nicest Cabernet Francs in the region. Winemaker Derek Wilbur’s entry into the dark red sweepstakes is a comer! Not the darkest of the bunch, but beautiful flavors and a nice, nice finish. Smooth. Not too tannic. Very, very nice! As an unexpected surprise, we came across Finger Lakes Distilling on their grand opening day. The building itself is a knock out, but it's what's isnide that counts. And it counts huge! I started off with the grape vodka, destined to be one of the most popular vodkas in the region. They shouldn't have any problems selling this stuff. Smooth, with a slightlest hint of grape. Incredible. The gin was also excellent! I bought gin to make gin and tonic and martinis. Tremendous stuff! 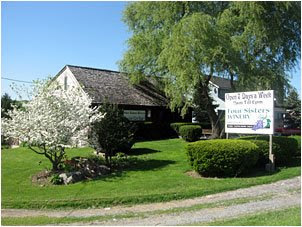 Finger Lakes Distilling is the region's first artisanal distillery to stand on its own, not associated with or located within an existing winery or fruit farm. "Most people think we're a winery or a brewery," said McKenzie, who's hoping his tasting room will open next month. ''We think this is a little more interesting. It's like a winery or a brewery, but we take it another step." They entered their first spirits competition - the newly-founded New York Spirits Awards. The competition was open to international brands, large and small. The judging panel consisted of some very well respected people in the industry - mixologists, top retailers, and spirits sommeliers. They evaluated each entry on a 100 point scale with points awarded for appearance, aroma, taste, mouthfeel and finish. Vintner's Vodka and Seneca Drums Gin were both awarded Best in Class Awards. Great stuff! Stop there as you're tooling around. Well worth the visit! 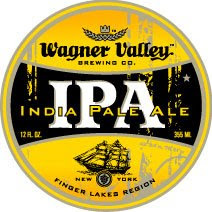 Wagners has been making wine in the Finger Lakes Region for many decades. They also make beer. So, wandering off the wine path, my companions and I stopped for a beer tasting at Wagners. We tasted the entire menu. Some great beers. I liked the IPA...I'm a hoppy guy. I also like the Oatmeal Stout and Hefewieizen. And the root beer was great! Rob Thomas and Kate Thomas own 6.5 acres of Cabernet Sauvignon, Merlot, Cabernet Franc, Syrah and Pinot Noir. Their philosophy is to tune into nature, and go with the natural ebb and flow of life. Red wines best reflect the complexity of life as they are built in layers, much like experiences and relationships. They make only red wines. And I have to say it was one of the best tasting experiences I've had in a winery in a hile. It wasn't about added experience. It was about the wine. Each wine was better than the next. And they were all reds! Aromas of cedar and brambleberries. Full-bodied, with well-integrated tannins in a dense fruit structure. Bold. Lots of cherries and dark fruit. Vanilla. Very, very nice. Synergy is one of the best east coast reds I have tasted in the last few years. Absolutely tremendous! Synergy is a must buy! In my cellar still I have some old Pinnacle reds from Standing Stone. They have always been among my most favorite east coast reds. And I can tell you the quality is there because they have fared well in the glass after extensive cellar aging. This last tasting was no disappointment. The 2005 and 2006 were each exceptional. I bought equal amounts of both for the cellar, though you could drink them now. They're great. Pinnacle is still stellar among the dry reds of the region. Classy. Sophisiticated. Tom & Marti Macinski, the owners, should be very proud! Mark Wagner's Lamoreaux Landing has won as many awards as Hills Bros. has coffee beans. Their whites are exceptional. They do their reds on the light side. It's a style thing with them. Fresh, light, and fruity. And critics and the general wine buying public seem to be buying. Big! I started off with a Pinot Noir that was almost a rosato (or the color of a dark rose). It had strawberries on the nose and was quite quaffabe. Very nice. The Estate Red was a light bodied and fruit forward wine that delivers cherry flavors with hints of smoke and tobacco. Soft tannins. Nice acidity. But one of the biggest shocks was 76 West a meritage that blew me away. Lots of oak and tannin forming the backbone of a dark ruby wine with dark and bright cherries. Smooth finish. An excellent red wine. Excellent!